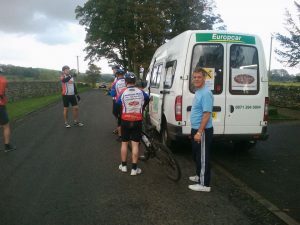 Richard Haines says: “Over three days, commencing September 16th 2011, six of the most highly trained, super fit, cycling legends (ha ha) will be setting off to take on the 174.3 mile “Hadrian’s Wall” Coast-2-Coast Cycle-way challenge from Ravenglass to South Shields. We’re essentially doing it “The Roman Way”, and to ensure political correctness have members in our team who come from both sides of the wall with Sammy providing the Celtic membership. 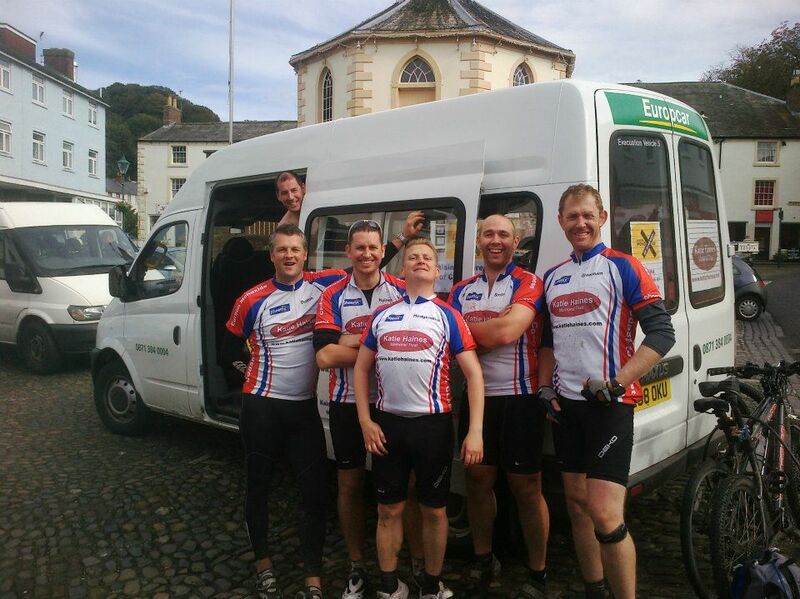 After a long drive up the M6 in our team minibus and some rest on Thursday night (in a haunted castle), a distinguished team of “rough and ready riders” including James Greenham, Richard Haines, Andrew Dutton, Garry Hodgkinson, Sammy Johnston and Steve Stroud will leave the Roman Bath-house of Glannaventa on the west coast of Cumbria only to have the frustration of seeing the Irish Sea again at the end of day one when we reach Silloth. Yes, the first day’s cycling is purely heading north to enable us to start tracking Hadrian’s Wall eastbound across the country. The team, who will be ably assisted by our support driver Terry Batts, are taking on this challenge to raise money for a local charity that is very close to our hearts, this being “The Katie Haines Memorial Trust”. As a team we are aiming to raise thousands of pounds for Katie’s Memorial Trust. *Company matching contributions upto £150/person undertaking the challenge.